Local band Dusty Custard celebrate the grant. "As this is a free festival we rely fully on the support and funding from local businesses and organisations and we are extremely grateful to Scotmid." 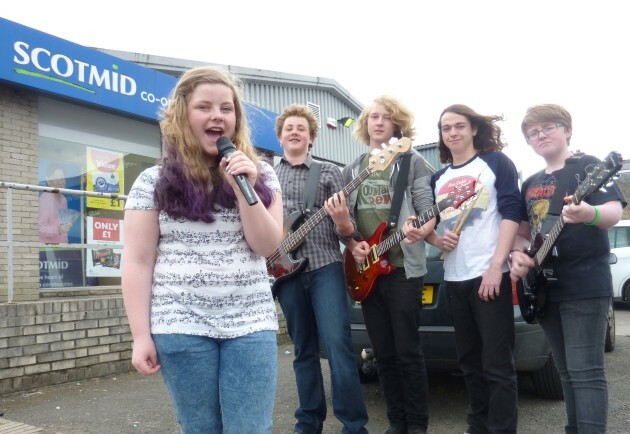 A West Lothian music festival that supports the development of local musicians has received a £500 boost from Scotmid Co-operative. The Bathgate Music Festival will be held from 4th to 7th September this year, and organisers are planning a packed calendar of events in local bars, restaurants and venues, including a large outdoor stage in the town centre. The festival will celebrate music across many genres, such as jazz, soul, classical and rock. It is open to all ages and will feature a mix of local bands and professional musicians. The £500 grant was awarded by Scotmid’s West Regional Committee, as part of the organisation’s community grant scheme. Community groups and projects can apply for a Scotmid community grant by completing a community grant form from their local Scotmid store or online at www.scotmid.coop. Community groups and projects must meet certain criteria to be considered for funding. The applications are then considered by their Regional Committee before being awarded.